Mince pies, pudding and brandy butter, chocolates, – Christmas truly is the season of sugar. The average British adult will consume the equivalent of 32 teaspoons of the stuff on Christmas Day alone, according to the British Heart Foundation. 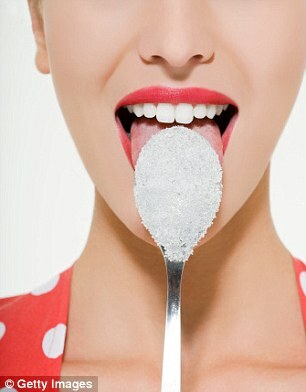 UK guidelines recommend that we should have no more than 50g – or around ten teaspoons – of sugar a day. But surveys suggest the average British adult goes over this by two teaspoons – much of this coming from sugars added to our food by manufacturers. And sugar does more than rot your teeth: in recent months many experts have argued that it’s sugar, not fat, that’s to blame for our obesity epidemic. Yet sugar is not just full of calories. Some scientists are claiming that, calorific content aside, a sugary diet is harmful because it alters crucial processes and hormone levels in the body. So can we safely indulge our sweet tooth over the Christmas period? Dr Mark Vanderpump, an endocrinologist at the Royal Free Hampstead NHS Trust in London, says that while most healthy people can get away with the odd sugar binge, there is ‘quite a large population in this country who are on the borderline of diabetes, and if they put enough pressure on the system, it may just tip them over the edge’. To make matters worse, some experts believe sugar may be addictive. In a 2007 French study, rats allowed to choose between sugar and cocaine overwhelmingly chose sugar. This was even true among rats already given so much cocaine they were showing signs of addiction. Dr Aseem Malhotra, a London cardiologist and member of the Academy of Medical Royal Colleges obesity group, believes sugar should be regulated like alcohol because it shares four key characteristics. ‘It’s toxic, unavoidable, capable of abuse and has a negative impact on society,’ he says. So read on before you go in for that second helping of Christmas pudding. Read on as the experts explain the latest thinking about what sugar may do to the body. Whenever we eat, the pancreas produces the hormone insulin to take the sugar from food out of the bloodstream and into the cells to create energy. But when we have something very sweet, it can cause a large release of insulin. So after an energy high from the sugar, we experience a rapid slump as blood sugar levels quickly sink again, says Helen Bond, of the British Dietetic Association. Indeed, a recent study at the University of Cambridge suggests sugar doesn’t help with energy at all – in fact, it makes you sleepy. Scientists found that sugar blocks the action of orexins, a type of brain cell responsible for feelings of wakefulness (orexins are also involved in telling the body to burn calories). The researchers think this might explain the sleepiness we often experience after a big, carbohydrate-heavy meal, since carbohydrates break down into sugar very quickly in the body. They found that protein stimulates orexin cells. So if you’re feeling lethargic, it might be better to have a boiled egg than a sugary energy drink or chocolate bar. Sugar is bad news for the heart, even in seemingly healthy individuals, says cardiologist Dr Aseem Malhotra. ‘Studies suggest that sugar causes the liver to produce more uric acid, and this leads to high blood pressure – the leading cause of death globally because it raises the risk of heart disease and stroke. Sugar also seems to raise cholesterol. 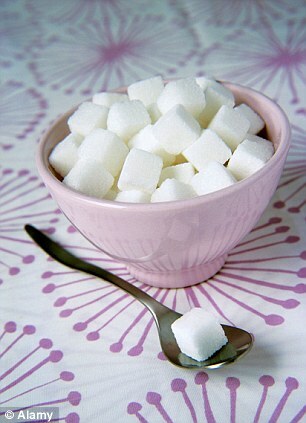 Sugar is a particular problem for those with diabetes, a condition that now affects around one in 20 British people. Here, the body becomes resistant to insulin or, in the case of type 1 diabetes, it doesn’t produce any insulin at all. Without insulin to mop it up, sugar is left in the bloodstream, which can have serious effects all over the body, sometimes even if diabetes is being controlled by medication. People with diabetes are 48 per cent more likely to have a heart attack and 65 per cent more likely to have heart failure, according to the NHS’s National Diabetes Audit. That’s because the condition causes abnormal cholesterol levels, and changes in the cells lining the blood vessels which lead to them narrowing or stiffening, says Dr David Price, a consultant in endocrinology and diabetes at Morriston Hospital in Swansea. One sign of high blood sugar levels is needing to urinate more, says Muhammad Shamim Khan, consultant urologist at Guy’s and St Thomas’ Hospital. ‘If a patient consumes more sugar than the body can handle, it will be passed out in the urine and it may affect their frequency. The sugar slump associated with sweet food and drinks can cause headaches, says Dr Andy Dowson, director of headache services at King’s College London. ‘Migraines tend to be triggered by changes, such as a change in sleep patterns or what you’re eating. If you have a lot of sugar, your body can over-react and deal with it very quickly, so your blood sugar levels peak and then trough. Some evidence suggests that continuously high blood sugar levels might lead to ageing of the brain that’s associated with dementia. In a study published in the journal Neurology last year, researchers took brain scans of 249 people aged from 60 to 64 with blood sugar levels in the normal range. After four years, those whose blood sugar levels were at the highest end of the normal range were more likely to have shrinkage in the hippocampus and the amygdala – areas of the brain associated with memory and cognitive function. Meanwhile, for those with full- blown, type-2 diabetes sugar is strongly linked with dementia – probably because continuously high blood sugar levels damage the blood vessels, and so may lead to the brain being starved of oxygen and nutrients. Next time you’re trying to resist the biscuit tin, it’s worth bearing in mind what sugar does to your liver – some experts believe it’s on a par with alcohol. Any calories that aren’t burned off in the body are stored in the liver in the form of fat, and over time this can lead to a condition called non-alcoholic fatty liver disease. Astonishingly, one in five British adults is in the early stages of this condition, according to the British Liver Trust. It’s more common in men than women, tends to happen after the age of 50, and studies suggest that some people are genetically predisposed to develop it more quickly than others. Although the majority of sufferers are overweight, it’s possible to develop fatty liver disease even with a normal BMI, if your diet is poor. Left untreated, it works in exactly the same way as liver disease caused by alcohol. The liver becomes scarred and eventually cirrhosis – irreversible liver damage – begins. ‘The most common cause of liver cirrhosis is alcohol, and after that it’s fatty liver disease, from bad diet,’ says Dr Malhotra. This is because you put on weight, which in turn makes the body less sensitive to insulin. Insulin helps store sugar in the cells, but if it is less effective, the sugar gets stored as fat in the liver. Non-alcoholic fatty liver disease is also a strong risk factor for type-2 diabetes, says Naveed Sattar, professor of metabolic medicine at the University of Glasgow. ‘When the liver becomes fatty, it alters how the body handles sugar. Insulin normally works beautifully, but when organs are full of fat, it’s not as sensitive and fast acting. ‘There’s more sugar hanging around in the bloodstream, and so the body makes more and more insulin to try and cope – and that’s when diabetes starts.’ If you’re predisposed to diabetes – for example if you are of South Asian origin, or you have a family history of the condition, you may gain fat around the liver even more quickly than others. Fructose, the sugar found in fruit and fruit juices, and increasingly added to processed foods, can also cause digestive problems and make conditions such as irritable bowel syndrome worse, says Professor Peter Whorwell, a consultant gastroenterologist at Wythenshawe Hospital, Manchester. ‘Fructose is considered a healthy option because it’s not absorbed very well, so it’s effectively lower in calories and won’t cause you to put weight on. ‘But that means it ends up in the gut where it’s fermented by the bacteria there, causing symptoms such as wind, a gurgling tummy, and diarrhoea. ‘This is why when most people eat a lot of fruit, they often find their bowels are looser.’ Recently, a number of studies have found people with high blood sugar levels are more likely to develop cancers, including those of the liver, pancreas, breast and bowel. A 2011 study of 5,000 post-menopausal women found that those with the highest blood sugar levels were nearly twice as likely to develop colorectal cancer as those with the lowest. Bowel cancer has long been linked to obesity and previous research has suggested that the association is due to elevated levels of insulin. But in this U. S. paper, published in the British Journal Of Cancer, there was no association between insulin levels and bowel cancer risk, leading the team to conclude that blood sugar was to blame. 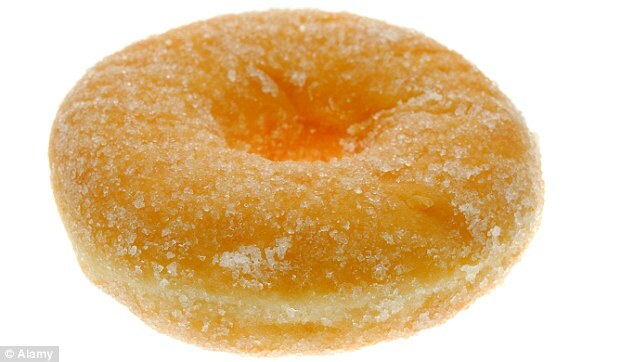 ‘It’s possible that elevated glucose levels are linked to increased growth factors [which stimulate cells to multiply] and inflammatory factors that spur the growth of intestinal polyps, some of which later develop into cancer,’ said lead author Geoffrey Kabat, an epidemiologist at Albert Einstein College of Medicine, Yeshiva University, in New York.